Why Self Defence is Important? Self defence is an important priority for women as they are vulnerable to assaults and attacks. Statistics say that all women are good candidates to become victims of violent crime at any point in their lives. When a woman's safety is in danger, defending herself by fighting back is the best decision she can make. Prevention relates to women making sure that they limit the situations they find themselves in that can then lead to serious crimes happening against them. Prevention is commonly the best measure. The best way for women to fight back against crime is to prevent it from happening by avoiding being alone or being in badly lit areas. Avoiding any violent attack is better that attempting to survive one. However, getting into such situations is sometimes inevitable. There are several crimes that women are mostly at risk of such as sexual harassment, carjacking, purse snatching, stalking, threats, domestic violence. The Best Chance for Survival is to Fight Back. Attackers assume women will be more passive and not fight back. Being vigilant and fighting back could prevent needless victimization. It is a moral right because protecting oneself is paramount. Ayoti Empowers Women for their Self Protection. Ayoti offers women the much needed understanding on how to respond to assaults and their threat through situation effective protection techniques. The first right of every human being is the right for self defence and it is the best chance for survival. Women need to realize that they don’t have to give up and surrender to it or endure it. Up until the last second before the crime actually occurs, women usually still have the power to make deisions that can profoundly affect the outcome. Ayoti’s self defence training programme 'Paritrana' will help women adopt personal safety habits. 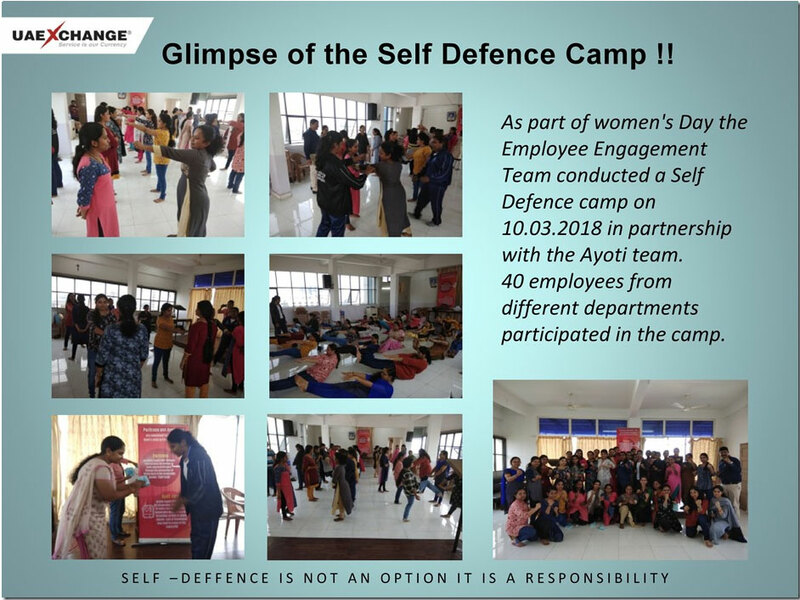 The focus of this training programme is on self defence techniques and effective strategies for women to free themselves from difficult and precarious situations. Prevention is not always possible. When faced with a difficult situation, defending oneself is the best and final recourse. The session was lively and very informative. The class conducted as part of womens day have definitely improved my self-confidence. 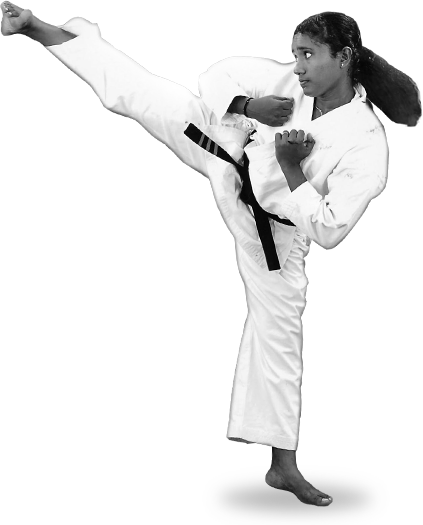 As a girl before attending the class I was unaware of the importance and significance of karate in our daily life, but after the class I got rejuvenated and was able to identify the necessity on how to become bold and confident. Ayoti conducted a very worthy practical Self Defence session for women employees. I shall feel proud to be a part of it. 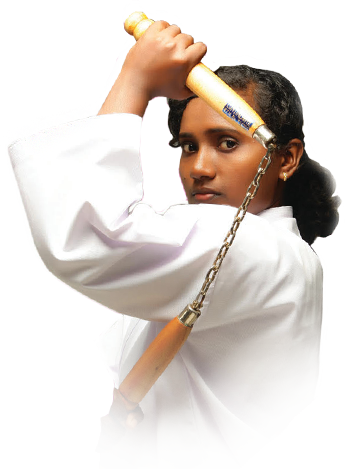 Ayoti session includes women fitness exercises, Karate classes and self defensive classes also. Session gives us awareness to women's health, their body fitness and their hidden ability to bring out their power at the time of any unfortunate attacks or any evil happenings. They had given an excellent training classes and had given practice how to react or protect ourselves when a person who is attacking or misbehaving us when we are in danger.I am very thankful to their entire team members; especially the trainer Ms.Suma and our organization for arranging a wonderful opportunity to all women staffs for being a part of it. I am very glad to inform you that the self defence program is very helpful to me and got an idea about the self defence techniques, when we face any sudden attacks in our daily life. The program was well planned and executed. And I have an opinion that one more session is needed that we can utilise the maximum. It was indeed an informative and interesting campaign for each one of us. The class really made us aware of the striking arts like punching,kicking, elbow strikes etc. which is very useful for a self defence. Thanks to the organizers and team.